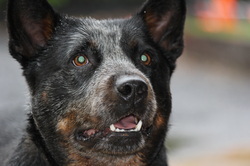 MissPriss comes to us from Barking Pines Lithgow..
She has a beautiful nature. A Fantastic mum to her puppies. She is young and a very happy girl. She has a beautiful nature.